There is one off-roading vehicle that people keep coming back to, time and time again. 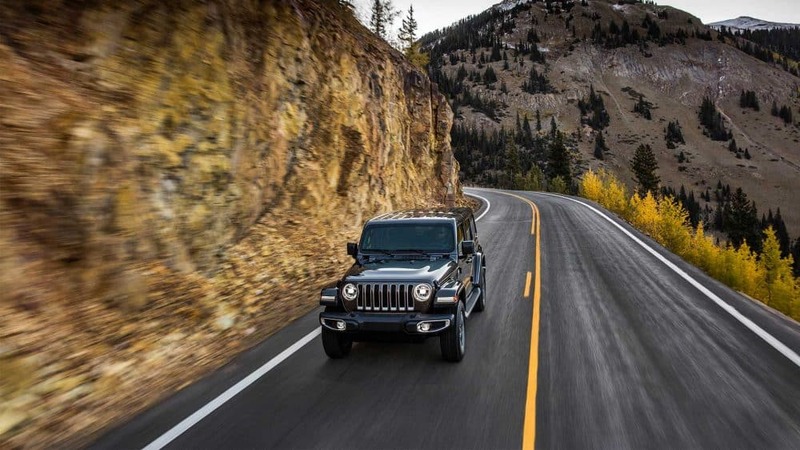 The Jeep Wrangler has withstood the test of time and has pushed the boundaries of what it means to be a premiere off-roading vehicle with the ability to provide a comfortable on-the-road experience. Finding that balance should have been difficult, but the Jeep Wrangler has proven, especially for the 2018 model year, that it can do a little of everything. This new 2018 Wrangler has been completely redesigned from previous model years, and while it is still the same Wrangler you've known and loved, it manages to make itself unique and stand out from previous iterations. 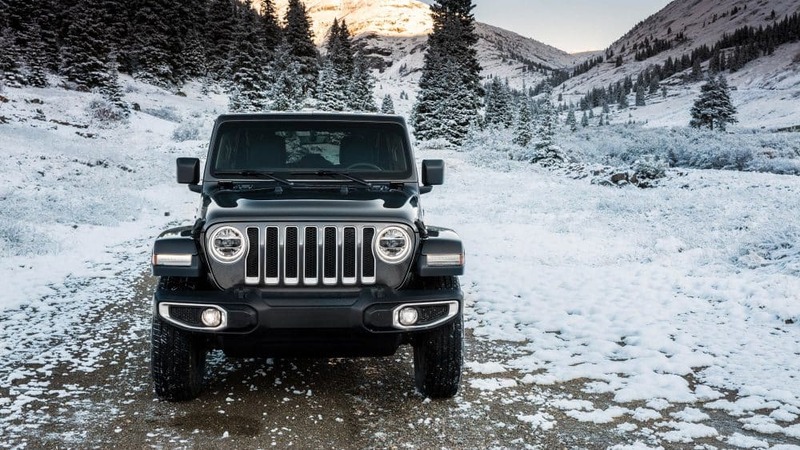 If you want to find out what exactly has changed about the 2018 Jeep Wrangler JL, then keep reading for more information! There are two available engines to choose from in 2018, with a third engine, a diesel option, available in 2019. The first engine is a turbocharged 2.0-liter inline-4 that produces 295 lb-ft of torque and 268 horsepower. This engine comes standard with an 8-speed automatic transmission. The second engine available is a 3.6-liter V6, creating 260 lb-ft of torque and 285 horsepower. As far as transmissions go, you can pair this engine with either a 6-speed manual transmission or an 8-speed automatic transmission. The fuel economy for the 2018 Wrangler is impressive, with the V6 engine and a manual transmission giving you 17 mpg city and 25 mpg highway! What safety features will I find in the Wrangler JL? Jeep is dedicated to not only giving you a fun driving experience but a safe one. There are many standard features, starting with Keyless Enter 'N Go, RR head restraints outboard seating, traction control, trailer sway damping, a tire pressure monitoring display, advanced brake assist, electronic stability control, hill-start assist, and advanced multistage front airbags. A few optional features include remote proximity keyless entry and a remote start system. This 2018 Wrangler comes in two configurations, one of which is a two-door option, and the other is the four-door option known as the Unlimited. These configurations all come with the same trim level options, with the exception of the Sahara trim, which comes exclusively with the four-door Unlimited. The base trim, known as the Wrangler Sport, comes standard with a fold-down windshield, 17-inch steel wheels, a height-adjustable driver's seat, a tilt-and-telescoping steering wheel, cloth upholstery, a full-size spare tire, keyless entry, manual mirrors and locks, air conditioning, a one-piece folding rear seat, cruise control, removable full metal doors with crank windows, and tow hooks and skid plates. The Wrangler Sport S, which is a more mid-level option, includes power windows and locks, sun visors with vanity mirrors, 17-inch alloy wheels, a leather-wrapped steering wheel, automatic headlights, heated power mirrors, air conditioning, and an alarm. 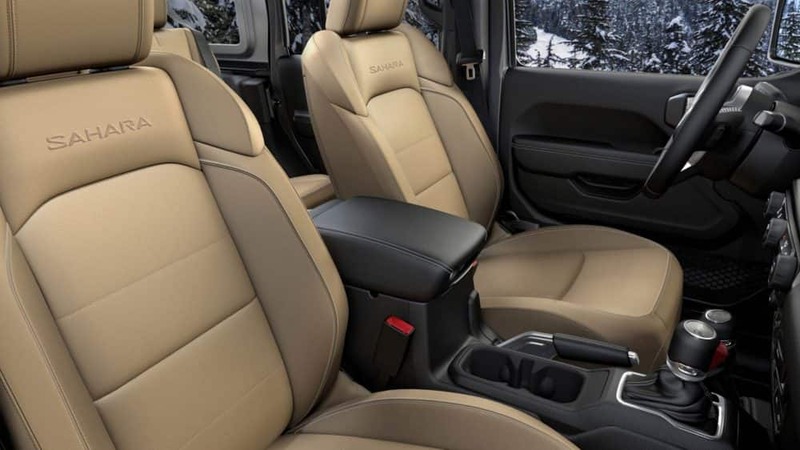 The highest trim offering is the Wrangler Rubicon, featuring an electronically disconnecting front roll bar, special off-road tires, 17-inch alloy wheels, an additional USB port, electronic rear and front locking differentials, and 4.0-to-1 low-range gearing. This all-new Wrangler is stylish, capable, and has more options than ever before! 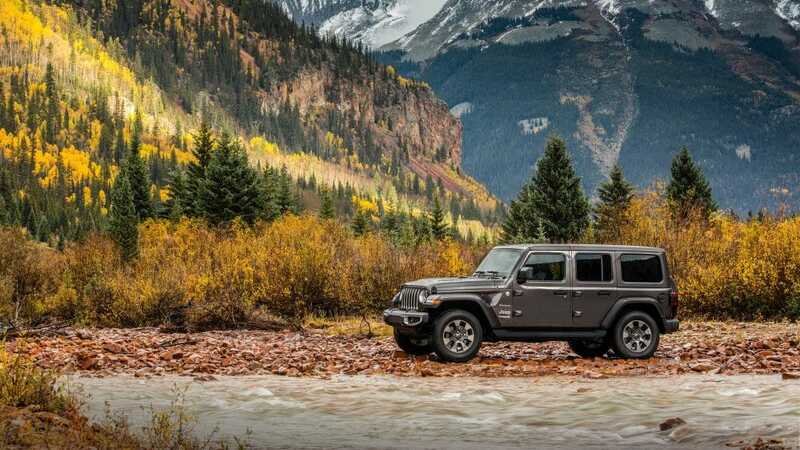 If you're looking for the perfect SUV that can crawl over rocks, drive smoothly down the highway, and maintain a safe environment for family and friends, then the 2018 Jeep Wrangler JL is the SUV for you. For more information give us a call, or use the form below to send in any further questions.